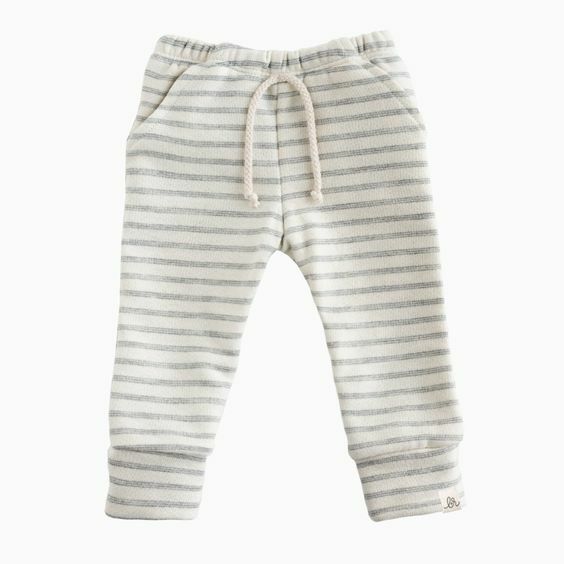 Lulu & Roo Chunky Gray Stripe Sweats | Find Cute Terrycloth Jogger Outfits for Babies! 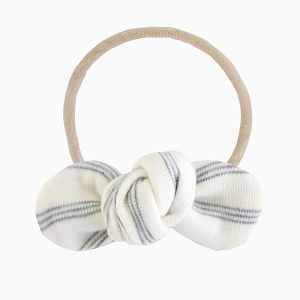 Comfy meets style in our new 'Seaside' collection! Colors are coordinated to mix and match throughout the entire line! This item has a slim fit, If you prefer a baggy look with room to go you may consider sizing up one size. Refer to our size chart for measurement clarification. Materials include 57% polyester 43% cotton premium medium weight french terry and or rib knit. Material is not pre-shrunk so please allow up to 10% shrinkage if machine dried. Our clothing is cut to allow for shrinking, we recommend cold water inside out and tumble dry on low heat or laying flat to dry to avoid excess pilling or shrinkage. Minimal pilling is typical for terry fabric. To avoid excess pilling please avoid washing with jeans, towels or any items of rough nature.